PODW has invested in a three-phase automation and technology overhaul in our UK-based print and logistics facility. Major investment into in-house Inkjet print and finishing technology and automation will future-proof the business as it moves towards its 20th trading year in 2015. Located outside of Cambridge, PODW has been servicing book and journal publishers of all sizes with auto stock and virtual stock solutions and is leading the way in revolutionising production choice and digital colour for the ‘book of one’. Investment in the highest possible quality and production efficiency was made with a £500k investment in a bespoke Hunkeler book block line with high speed, dynamic perforating, cutter and offset stacker which was installed in July this year. Publishers will benefit from PODW’s ‘LEAN’ book manufacturing environment producing a publisher’s job on the same day ready for shipping the next day – matching, if not exceeding, the speed of a traditional warehouse operation. Books will now automatically flow through a state-of-the-art print production facility from print order to shipping area with minimal touch points and minimal handling to ensure maximum quality and efficiency. PODW has also invested in a duplex Screen Truepress Jet520Z Inkjet press which delivers superior Inkjet quality and complements the company’s existing toner-based OCE and iGen printers. Owner and Managing Director, Andy Cork says “We had to get the finishing right before ordering the Inkjet digital press. Our aim is to link all the processes from order right through to dispatch”. Andy adds: “The benefit for publishers is choice; publishers will be able to choose either Inkjet or toner print production, depending upon theirquality, run-length and cost requirements. The Truepress will be able to handle production runs from as low as one up to 1,000 copies which opens up fast turnaround ‘on-demand’ book and journal printing opportunities for publishers. 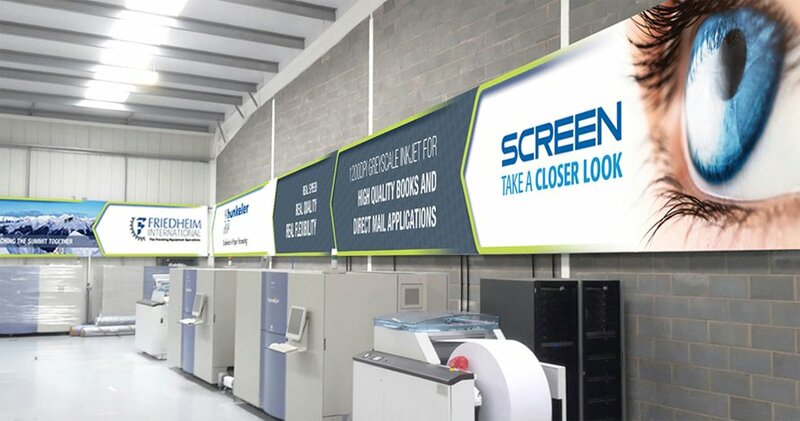 The Hunkeler and Screen investments will make PODW one of the most automated SME printers in the industry today producing books of one at speeds of up to 128m/minute and that puts us firmly in a unique position compared to our competitors”.